“More than the Game” is a collection of nearly 10 years of paintings of the Cape Cod Baseball League. With close to a hundred paintings in the series, he has tried to capture the essence of the interactions between players, fans and volunteers. 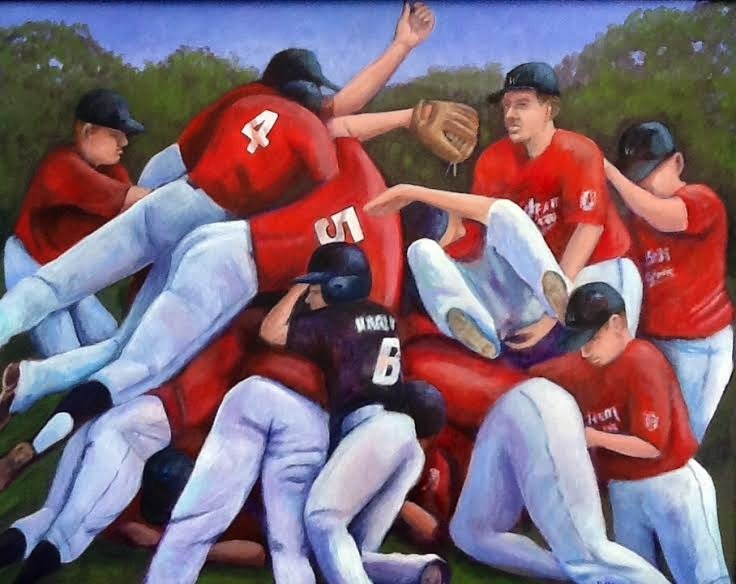 There is much more going on at a Cape League game than a baseball game, and his goal is to depict this unique experience in his paintings. Phil was an art teacher at Chicopee Comprehensive H.S for twenty five years and has been a practicing professional artist for most of his life He is an artist member of the Cape Cod Art Association, the Cultural Center of Cape Cod, and the Arts Foundation of Cape Cod. Come enjoy his colorful renditions!